The Globe Theatre was a theatre in London associated with William Shakespeare. It was built in 1599 by Shakespeare's playing company, the Lord Chamberlain's Men, on land owned by Thomas Brend. It could seat 3000 people and 1000 standing in the 'Yard'. The audience were a mixture of social classes, as Shakespeare tried to make his plays enjoyable for everyone, with the poorer people standing. It was destroyed by fire on 29 June 1613. 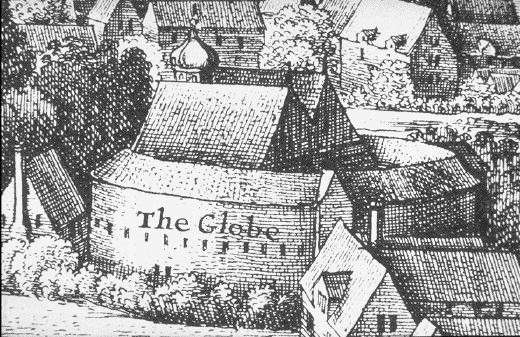 A second Globe Theatre was built on the same site by June 1614 and closed in 1642. Globe Theatre Facts for Kids. Kiddle Encyclopedia.